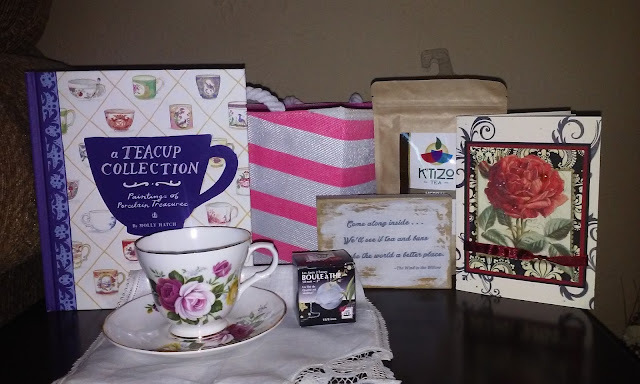 Being a new blogger this was my first time participating in the Tea Cup Exchange! It was so much fun that my calendar will be marked as soon as the next one is announced. 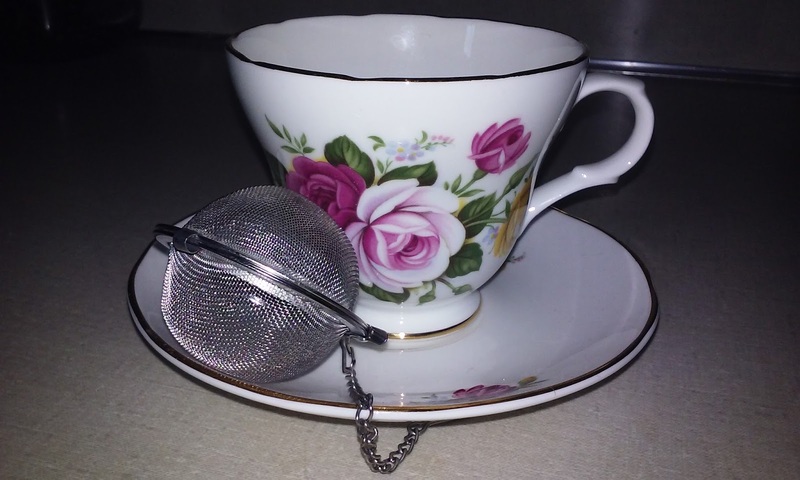 The tea cup and saucer are adorned with roses and a tea infuser was included to hold the yummy organic ginger tea! 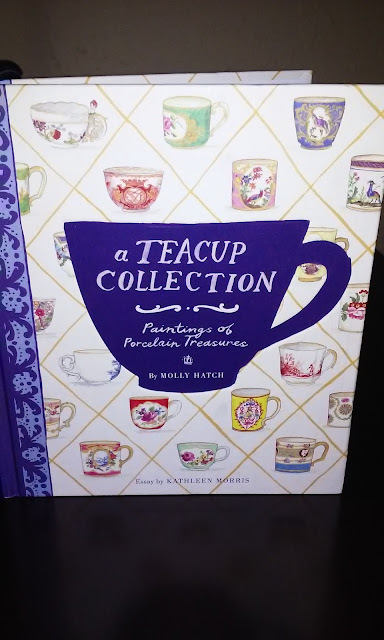 A book of hand painted tea cup illustrations. 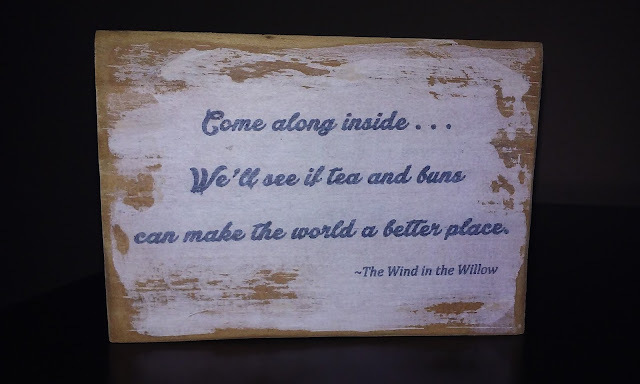 A lovely plaque handmade and signed by Lauren. A dainty lace trimmed napkin and card hand stamped by Lauren. This brightly colored basket will be great to store some of my sewing and crafting supplies. Thank you again Lauren for all the pretty items you so thoughtfully put together. Hi Karen, What a lovely teacup you received from Lauren. Such pretties she included with it too. So glad you could join in and enjoy the exchange. Stephanie does such a wonderful job of pulling it all together for everyone and for so many exchanges of 8 seasons. Thank you Celestina, yes...Stephanie does such a nice job and is just a sweetheart. We are all very fortunate to know her and participate in this wonderful exchange of goodies and friendship. Have a wonderful day! Very pretty goodies in your tea cup exchange from Lauren. I bet it's exciting when the package is delivered and the contents are revealed. But the best part is the friendships formed and the sharing. The exchange Stephanie hosts looks very delightful to participate in. Hi Karen, I just love all the wonderful treasures you received. The tea cup is beautiful. I love the handmade sign, what a nice piece. Everything is wonderful! Hello Karen~~ I've come to visor you from my dear Stephanie's teacup exchange, so nice to meet you! Lauren has certainly blessed you worth some beautiful gifts. That hand made sign is quite special. 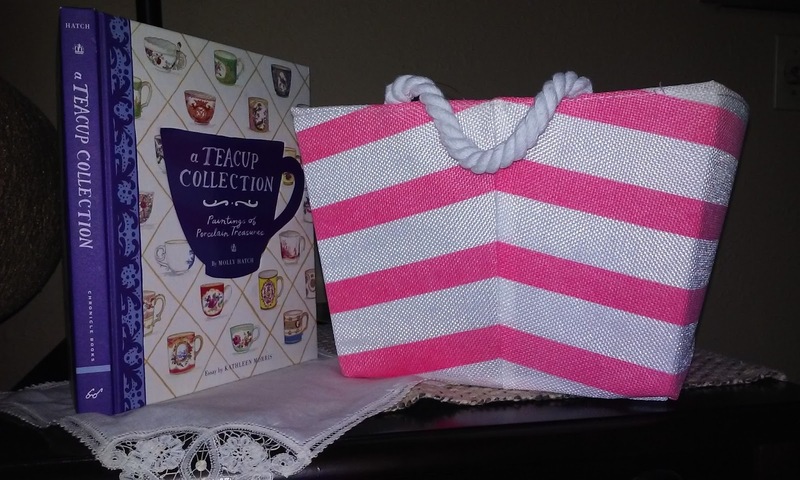 Your teacup collection book looks interesting and how fitting. Thank you so much for participating and sharing your sweet goodies with us. Have a beautiful day! Hugs! It was all my pleasure Linda! That pattern reminds me so much of a beautiful set my Grandmother used to have. It's so pretty. The tea cup book was a nice touch for sure! So glad you enjoyed it all -- wasn't this so much fun?! 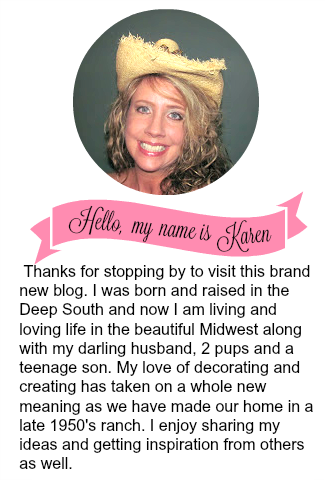 Love your post title and your beautiful blog! What a delightful package! I'm so glad that you enjoyed your first exchange! So neat that you did your first exchange. Everyone is so sweet and puts so much thought into it. Lovely parcel - and the infuser and napkin are lovely extras aren't they? 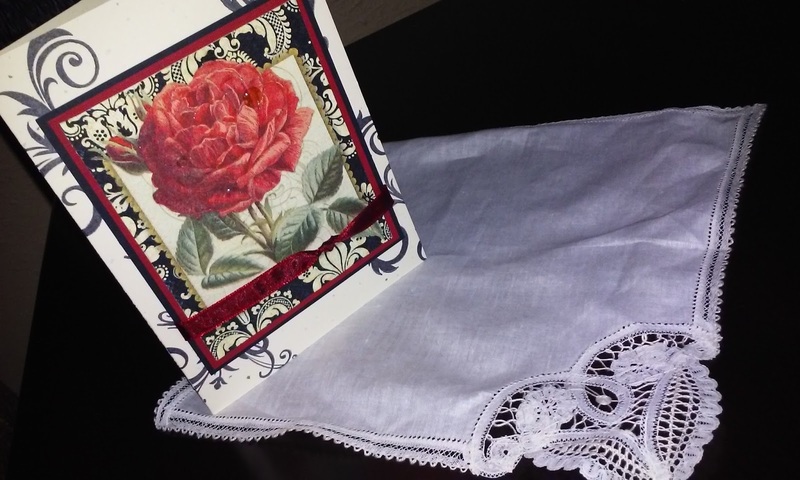 I hope you have received my card by now too - not sure how long our international post takes from here... Thanks again for the parcel you sent me - I love it all and the cute cup set is my colour exactly! Isn't this exchange just the best, Karen? Stephanie is an angel for organizing all this! You received so many nice gifts, along with your teacup. Happy teatime!